Skyrim's brilliant. I say that without having played it. 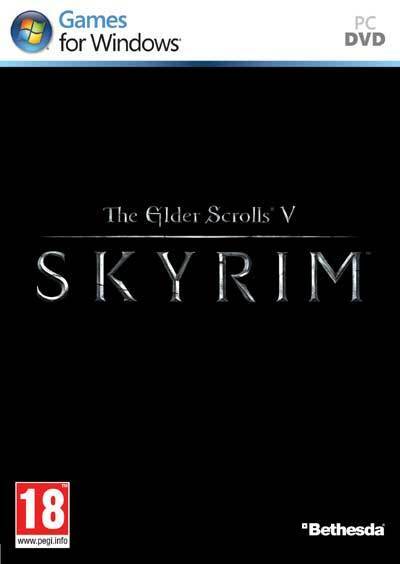 I know it's brilliant because it's by Bethesda. Not everything they do is gold. Fallout 3 was good, but not great. But Elder Scrolls, which started in 1994 and of which this is the fifth installment, is a unique and stunning creation. Every game since that first one 17 years ago, all of which I've played from start to finish, exists in the same world, meticulously curated and filled with magic. Uncharted 3 is brilliant because when they do the motion capture for the animation they simultaneously record the actor's voices allowing for improvisation. Elder Scrolls is brilliant because of the depth of its Universe. Most games are made up mostly of the equivalent of those empty plastic TVs they put on furniture in Ikea: imitations that challenge your suspension of disbelief. In the recent Deus Ex for example, you inexplicably see the same 4 books owned by every character in every room. In Elder Scrolls you sense that everyone at Bethesda spends lunchtime writing stories, all gloriously kept 'canon', to fill the bookshelves of the game. The game has over 300 different books - many of which you'll recognise from Elder Scrolls IV: Oblivion - but are now 200 years older. "When you're a carpenter making a beautiful chest of drawers, you're not going to use a piece of plywood on the back, even though it faces the wall and nobody will ever see it. You'll know it's there, so you're going to use a beautiful piece of wood in the back. For you to sleep well at night, the aesthetic, the quality, has to be carried all the way through." Is it more of the same, as Modern Warfare 3 stands accused? Sure. Will anyone complain? Not a chance. These games are a wonderful flight into fantasy, a connection with a rawer time of magic and strangeness, of limitless adventure and visceral encounters - all with you the main character. Middle-earth doesn't qualify as 'epic' next to this. Harry Potter belongs to a 9 year old's bedtime. Skyrim is a land of 16 square miles with hundreds of inter-related characters soaked in historic feuds and factions: that's a story. Still, it's just a game. It isn't a great work of art, achieving only the more humble ambition of being great entertainment. That's OK. But there are movies and there's certainly theatre that moves you, enthralls you, exhilarates you, makes you laugh and makes you cry. The comedy/tragedy masks above every stage, with us since the Ancient Greeks. Has a game ever made you feel intense emotion? "Yes", you might say. But was it able to sustain that, deepen and develop it over the course of the narrative? The games I've played have one or two shining but sporadic moments, the exception not the rule. Take a pack of cards and you get more drama. The Tarot (major arcana) is the story of the fool as he goes through the dramatic changes of life: innocent, tempted this way and that, experiencing transformation and the shattering of illusions. Most games restrict their plot to 2 or 3 Tarot cards. I'd love to experience one that symbolically attempts the whole deck. It's within the grasp of game technology to do this, but it needs a vision - a vision beyond assuming your audience is 14 year old straight male gamers that want a massive gun to blast the zombies - and even they would appreciate something better than this poor assumption. It's time to move on from Pong, Bomberman, Angry Birds and the fairground duckshoot that is Call of Duty. We want games with Shakespearean complexity of nuance, wordplay, symbolism, wit, beauty and mystery. That vision needs ambition, and whatever game you want to say has some of these things, maybe you'll say Heavy Rain or Zelda or something else - I'm sure we need to be far more ambitious, more demanding. It's time to up the game.